We offer a wide variety of classes, instruments, and schedule options. Just CALL THE SCHOOL, 708-749-1932 or send an email inquiry to registration@friendlyschool.org. Current Instrument Instruction Available: Banjo, Bass, Drums, Fiddle, Guitar, Harmonica, Mandolin, Percussion, Piano, Ukelele, Upright Bass, Violin and NOW FLUTE!!!! * If there is an instrument you want to learn, but it is not listed above, just let us know. ***Private and Semi Private Lessons can begin at any time; just call the school at 708-749-1932 to get started! The Friendly School understands life happens, so you do not need to take the sessions concurrently. We are happy to accomodate classes to fit your schedule, but to prevent charge, we need 24 hours notice. Less than 24 hour notice will be at the school discretion to bill for the missed class or not. Group lesson have 3 to 8 students and the schedule of start dates can be found below. The cost is for the 8 week session, and the classes run concurrent weeks unless stated in the class description. Tuition is due in full by the first session. You can pay online with a credit card when you register, but there is a 3% processing fee for all credit card transactions. We welcome you to bring a check or cash to the first class to avoid the processing fee. 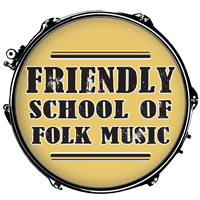 The Friendly School offers a $30.00 family discount if you have multiple students enrolled from one family or you have a student enrolled in multiple classes. *Note, the discount does not apply to the Kindermusik program as that is on a different fee schedule. Thank you!